Vivarail promises no repeat of the engine fire in December that scuppered hopes of a first passenger trial for the converted trains. VIVARAIL has announced an action plan to prevent further fires occurring in its Class 230 ‘D-Train’ units, such as the one in the trailing vehicle of test unit No. 230001 near Kenilworth on December 30. The fire closed the line for a number of hours, but also led to the proposed passenger trial on the Coventry to Nuneaton line being cancelled. 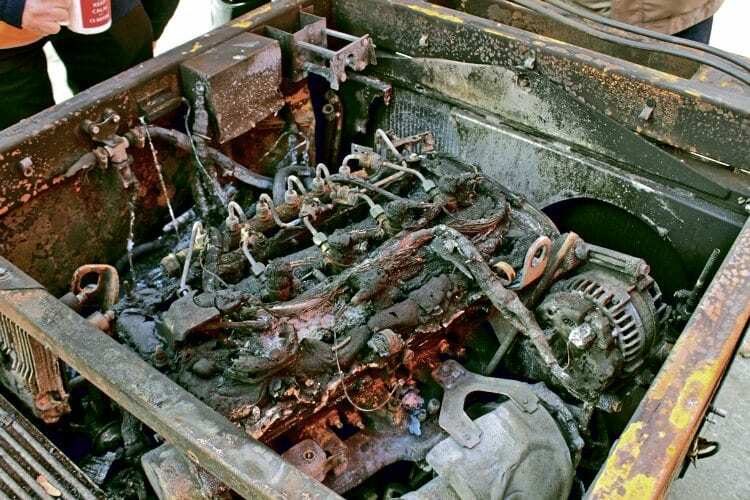 An investigation found the fire was caused by diesel fuel escaping from the high pressure fuel system, itself due to a poor repair by the genset (engine) supplier, and the fuel being ignited by a hot body, likely to have been the turbo charger. It was made worse by the fire suppression system using FM200 gas, which would have been susceptible to being blown away by air movement. However, the fire barrier above the genset did its job well and resulted in minimal damage to the vehicle floor and passenger saloon. The fire alarm also worked correctly and allowed the traincrew to quickly assess the situation, but loss of main reservoir air pressure led to the train stopping out of the driver’s control, this failing to meet the requirement to be able to operate for 15 minutes after the outbreak of a fire.